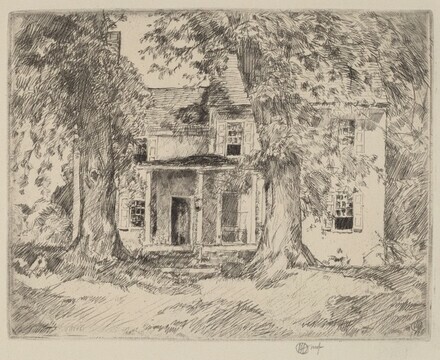 lower right in graphite: [the artist's monogram] imp. Cortissoz, Royal, and the Leonard Clayton Gallery. Catalogue of the Etchings and Dry-Points of Childe Hassam, N.A.. San Francisco, California: Alan Wofsy Fine Arts, 1989, pp. 168, 171, no. 265.